The sophisticated and timeless appeal of a black and white design scheme is one of our favorite looks. You can never go wrong with the beautiful contrast that is created between black and white. This living space is a mostly white design studded with subtle black accents in the window systems and light fixtures. The rich black floors and furniture in this space are accented by a bright white sofa and black and white door moldings. A funkier design is displayed in this living space. 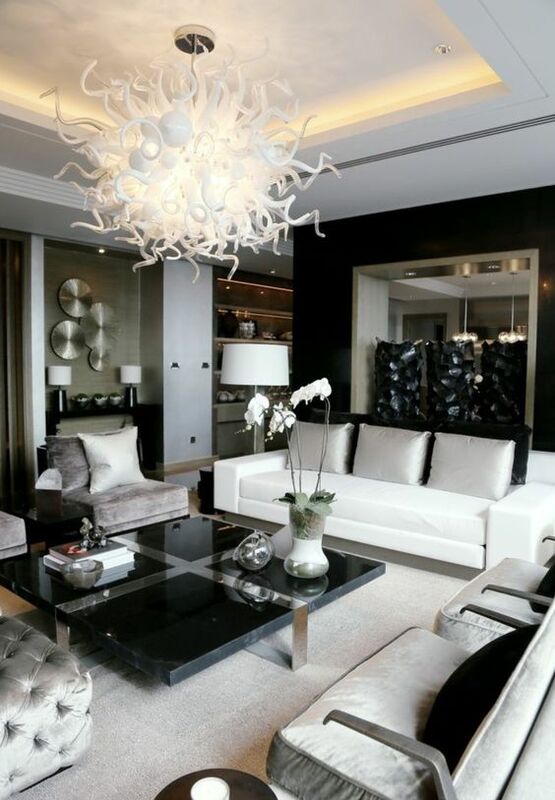 Black and white furniture is combined with luxurious silver textiles and artwork. A clean and contemporary design is shown in this kitchen space. 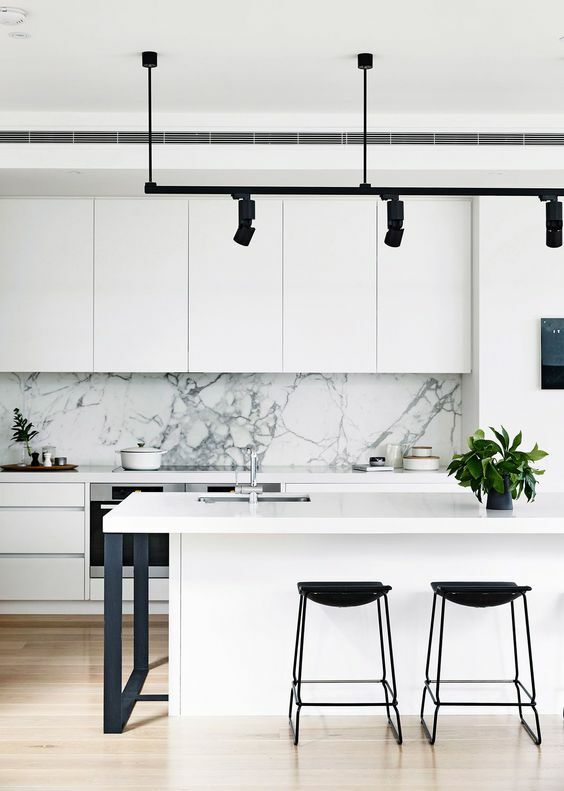 We love the all white kitchen with gorgeous marble counter tops and sleek matte black track lighting. This Bohemian-chic black and white bedroom is a dream come true. The dramatic bed draperies and striped black and white textiles pull the look together.